Well, what a great week of fishing it has been! All of our rivers are now open and with the improved weather the bugs are hatching and the fish are hungry! 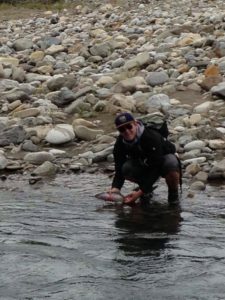 And the smiles seem to be coming more and more frequently… I guess Cutties smashing big stoneflies all day can do that. Here are some of the photos taken by the Bushwhackers Crew over the past couple of days! Myself, I was lucky enough to be fishing in southeast Alberta this past week. 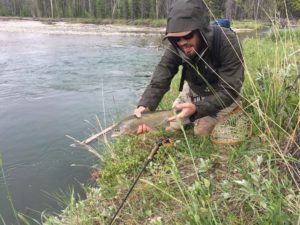 On thursday, the first day of open water here in Alberta, myself and my cousin went venturing into the Highwood River Basin, with what was seemingly every other angler in southern Alberta. At 7 am, as we drove up the Highwood valley, pretty much every access point already had 2-3 cars. We couldn’t believe it. I guess that’s what happens when the economy is in recession! It is good to see everyone so excited for the start of fishing season, however, my cousin and I weren’t looking to share the river with the crowds. We parked at one of our favourite little creeks (which shall remained un-named, although I’m sure some of you will recognize it), and in the brisk morning air, hiked for an hour so up towards the hulking peaks in the distance, up and away from the people, and down into the endless deep pools of the creek below. Small creek fishing at its finest! It was quite chilly that day, especially after hiking high up into the mountains. We we’re only able to to catch a couple small fish on dry flies, but had good luck with streamers and nymphs and brought some good fish to the net. A nice Cuttie that couldn’t resist a big streamer. 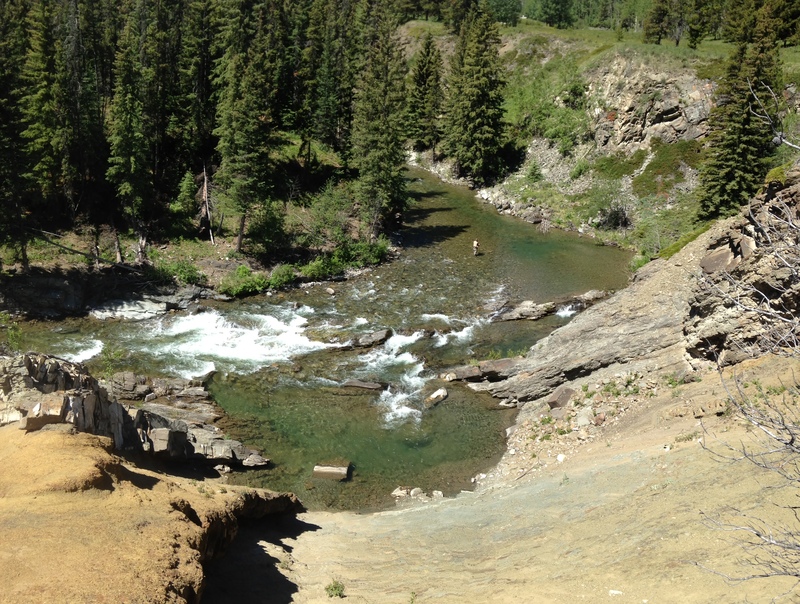 After Fishing the morning on our little creek, we decided to try and find a spot on the Highwood River that wasn’t quite as easily accessible. 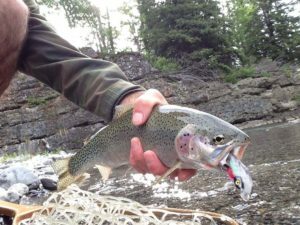 We hiked into a nice stretch of River in Kananaskis Country and were able to catch some more nice Rainbows and Cutthroat. 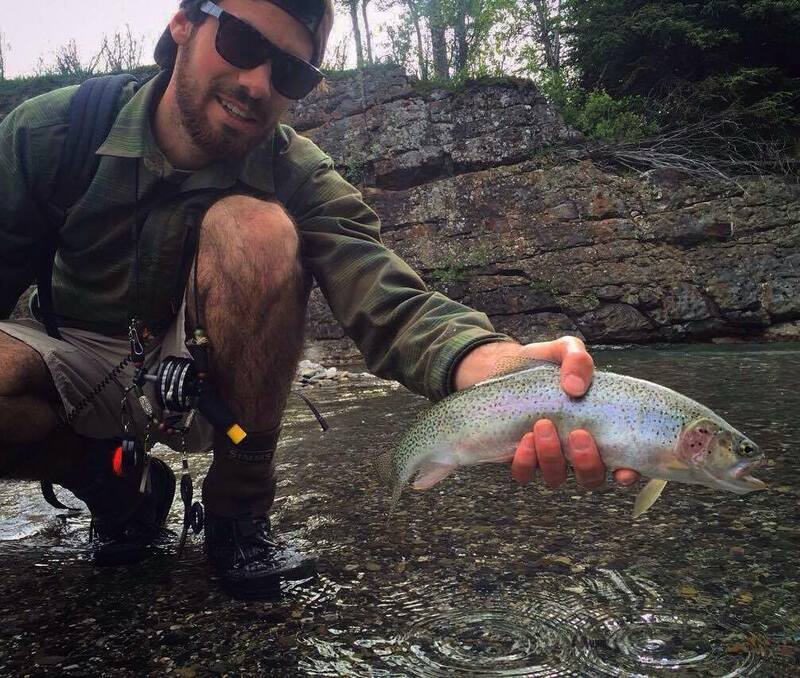 A low quality Image of a very nice rainbow caught by Garret. A nice Highwood River Cutthroat Trout. 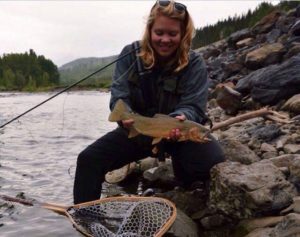 Meanwhile, in the Kootenays, Jen Dunphy was slaying Bull Trout and catching Cutthroat trout. 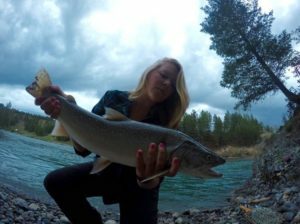 It seems as thought the Bull Trout were just as excited as we were about the return of fishing season. All in the same pool and all before a days work. Now that is commitment! A nice Cutthroat Trout from the Elk River. Finally, after some unsettled weather, the sun came out and my father and I were treated to some fantastic Dry-fly fishing on the Oldman River yesterday. The river is in fantastic condition and the bugs were out in abundance, including tons of stoneflies! 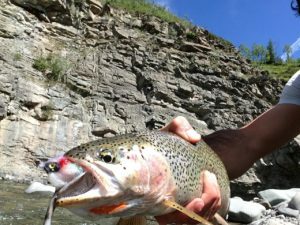 Cutthroat Trout Heaven on the Oldman River. We were enjoying the moment and didn’t take much time to snap pictures. My dad was too busy slaying fish to be bothered to come and take pictures of the fish I was catching. Which, is really the way it should be. 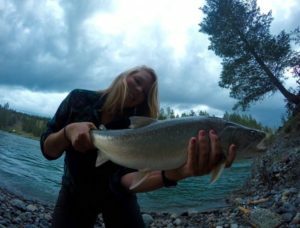 I did manage to snap a quick pic of a monster Cuttie I caught on a big streamer! Spending time with my dad on the River is something that I am so grateful I am able to do. He taught me how to Fly-fish, and these days on the beautiful rivers of our home will always stick with me as some of the best days fishing of my life. It was truly a great week of fishing! I hope everyone else got out and had as much fun as I did! No word from Mark Rossi in the Okanagan… He must have been busy doing grown up things like working and stuff. I’m sure the fishing out there is just as awesome! 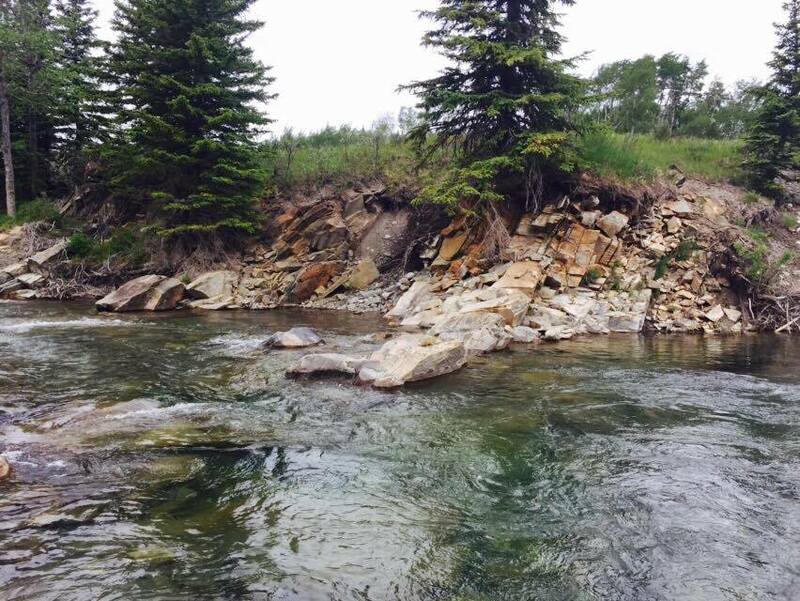 All of our streams are in great shape, however, the flows are VERY low for this time of year in Alberta. Get out now as I am sure there will be some closures coming our way later this summer. That’s all I got for you today folks; we will have another full length story coming to ya’ll in a few days time! Stay tuned. Cheers and happy fishin!